Join InboxDollars for FREE! Receive $5 Just for Joining! 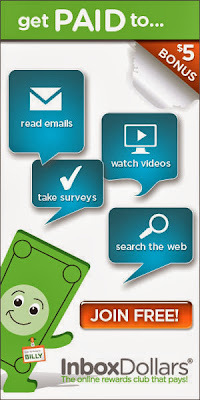 InboxDollars pays members to read emails, take surveys online, play games and go shopping! New enrollees also will receive $5 just for joining!